Amid internal controversies and a capital city deeply distracted by the partial government shutdown, the third Women's March returned to Washington on Saturday with an enduring message of anger and defiance aimed directly at President Trump's White House. 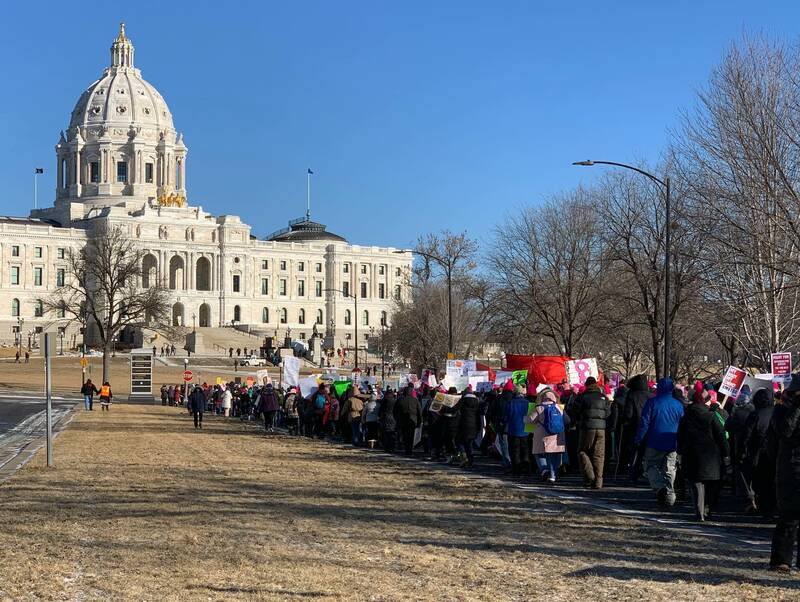 It was one of many Women's March events held across the country — including in St. Paul, where several thousand people braved the cold to march to the steps of the Minnesota Capitol for a noon rally. "People are bundled up — hats, mittens. We've walked blocks and blocks. There's people, volunteers, all bundled up — moving us along, cheering us along, honks, all of it," said marcher Lexie Erickson along the route of the St. Paul march. "We've got to show up to make things happen. ... It doesn't matter the time, the date, how cold it is — things are going to happen, (and) we need to be there to make it happen." St. Paul police estimated the crowd at 4,000 during the march; that estimate was from before the marchers reached the Capitol. In Washington, the original march in 2017, the day after Trump's inauguration, flooded the city with hundreds of thousands of people. The exact size of the turnout remains subject to a politically charged debate, but it's generally regarded as the largest Washington protest since the Vietnam era. This year was a more modest affair for multiple reasons. An estimated 100,000 protesters packed several blocks around Freedom Plaza, just east of the White House, for a daylong rally. The march itself took about an hour and only moved about four blocks west along Pennsylvania Avenue past the Trump International Hotel before looping back to Freedom Plaza. 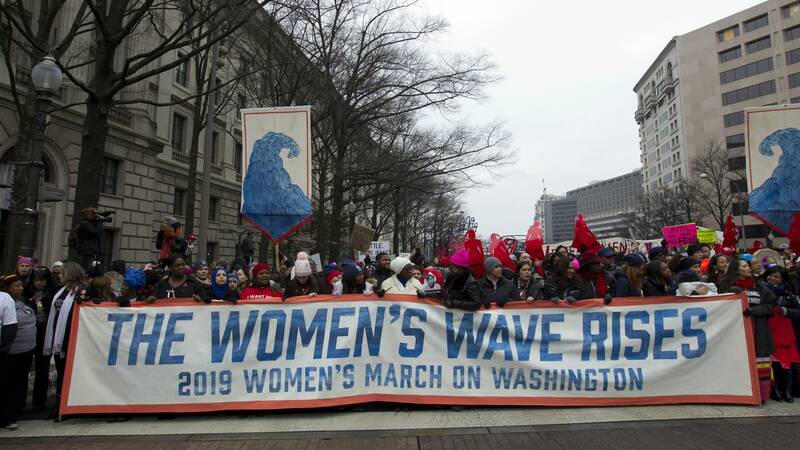 As it turned out, the weather in Washington was chilly but otherwise pleasant, and the mood among the marchers a now-familiar mix of sister-power camaraderie and defiant anger toward Trump and the larger power structure. As always the Trump administration was the direct target of most of the abuse — with fresh bitterness stemming from more recent events like Supreme Court Justice Brett Kavanaugh's successful confirmation last fall despite a direct accusation of sexual misconduct when he was in high school.